Get receipt, slip, and validation printing all in one small, space saving package. 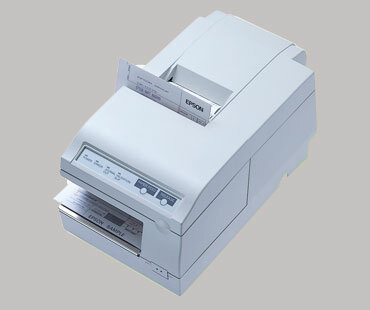 Popular solution for printing cashiers checks. The TM-U375 makes the most efficient use of limited space, and with a clamshell mechanism that simplifies roll paper replacement and a moveable platen that facilitates slip insertion, this printer also boasts excellent paper handling.